Most people who know me, know that if given half a chance, I would quit my day job and become the moonlight-loving zookeeper of a nocturnal menagerie. True story! 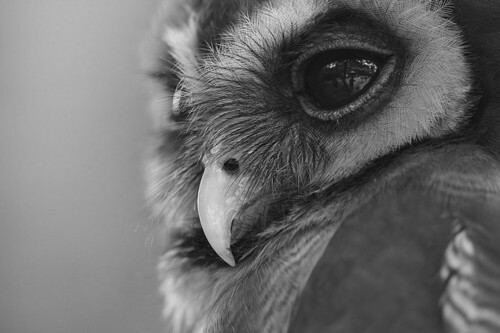 I just love the caliber of cuteness that seems to crawl out of the woodwork when the sun starts to set: bush babies, badgers, bat eared foxes, caracal, civet and cats of all sorts… not even to mention owls! Oh owls! Of all the bright-eyed, large-eared, swift-footed, fast-winged critters that move about at night, owls are, without a doubt, my favourite. And, yes, I know… everyone else’s too! Now that you’re feeling all inspired, why not try this super easy DIY Owl Drawing tutorial? Or enter Gypsified’s hippy girl giveaway where you can win awesome Scarlett Boulevard jewellery, including a pretty owl and key earring. First birthday hippy girl giveaway time! Aaaaw, loooooove it! the lil owl is the CUTEST!